Penguin Press HC, The. Hardcover. 1594202494 Item in good condition. Textbooks may not include supplemental items i.e. CDs, access codes etc... . Good. Penguin Press HC, The. Hardcover. GOOD. Spine creases, wear to binding and pages from reading. May contain limited notes, underlining or highlighting that does affect the text. Possible ex library copy, thatâll have the markings and stickers associated from the library. Accessories such as CD, codes, toys, may not be included. Penguin Publishing Group, 2010. Hardcover. Good. Disclaimer:A copy that has been read, but remains in clean condition. All pages are intact, and the cover is intact. The spine may show signs of wear. Pages can include limited notes and highlighting, and the copy can include previous owner inscriptions. Penguin Publishing Group, 2010. Hardcover. Very Good. Disclaimer:A copy that has been read, but remains in excellent condition. Pages are intact and are not marred by notes or highlighting, but may contain a neat previous owner name. The spine remains undamaged. An ex-library book and may have standard library stamps and/or stickers. Penguin Press HC, The. Hardcover. 1594202494 Ships promptly from Texas. . New. 2010. Penguin Press HC, The. Hardcover. 1594202494 Ships from Tennessee, usually the same or next day. . New. Penguin Press HC, The. Hardcover. 1594202494 New Book- Ships in 1 business day from my GA location! . New. Penguin Press HC, The. Used - Very Good. Very Good condition. Good dust jacket. Penguin Press HC, The. Hardcover. 1594202494 BRAND NEW Over 1,000,000 satisfied customers since 1997! We ship daily M-F. Choose expedited shipping (if available) for much faster delivery. Delivery confirmation on all US orders. . New. 2010-04-01. Penguin, 2010. normal wear with a remainder mark on bottom edge, contents are clean---three generations of women tour mainland China on a journey that will change their lives forever. First Printing. Hard Cover. Very Good/Very Good. 8vo - over 7¾" - 9¾" tall. Penguin Press HC, The, Apr-10. Hardcover Hardcover. Used - Good. Satisfaction Guaranteed!! Penguin Press HC, The. Hardcover. 1594202494 First edition, First printing. Not inscribed clipped or otherwise marked. Shipped in a box. Complete # line 10987654321.Fine/Fine . Fine. Hard Cover. Penguin 2010. Previous Owners Name Inside Front Cover. Light Wear. Unless Listed in this decription, VG or Better. New York, NY: The Penguin Press, 2010-04-01. First Edition. Hardcover. Very Good+ in Very Good dust jac/Very Good. First printing. Remainder. DJ is price clipped. DJ shows light chipping along upper edge. Slight chipping and bumping on lower front edge. Black remainder mark on lower page edges. Penguin Press HC, The, 2010-04-01. Hardcover. Good. Penguin Press HC, The, 2010-04-01. Hardcover. Used:Good. 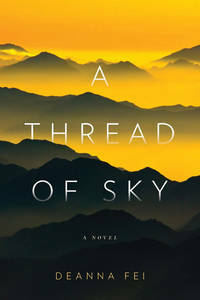 A Thread of Sky: a Novel. Penguin Press, 2010. Hardcover. As New. Penguin Press, 2010. As New. 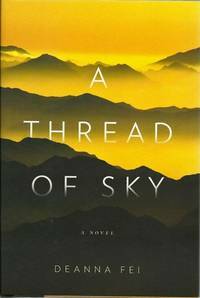 , Hardcover, Unused, in dust jacket. Bright, clean, tight. Out-of-print and antiquarian booksellers since 1933. We pack and ship with care. The Penguin Press, 2010. pp.354 clean tight copy. First Edition. Hard Cover. Fine/Fine. 8vo - over 7¾" - 9¾" tall.